A big thrill for me whilst in America was getting to visit Joan Crawford’s house in Brentwood, quite close to where Marilyn Monroe lived. Some of the photo’s i have of Joan are quite bizzare, whilst i’m not sure the following two classify as bizzare they are a little weird. 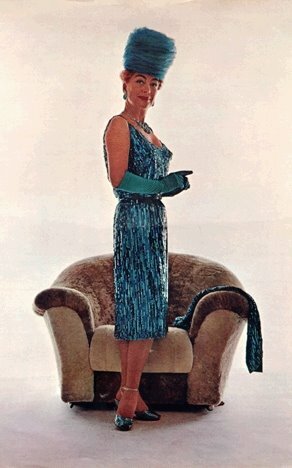 In this photo it looks as if Joan was auditioning for the role of Marge Simpson. 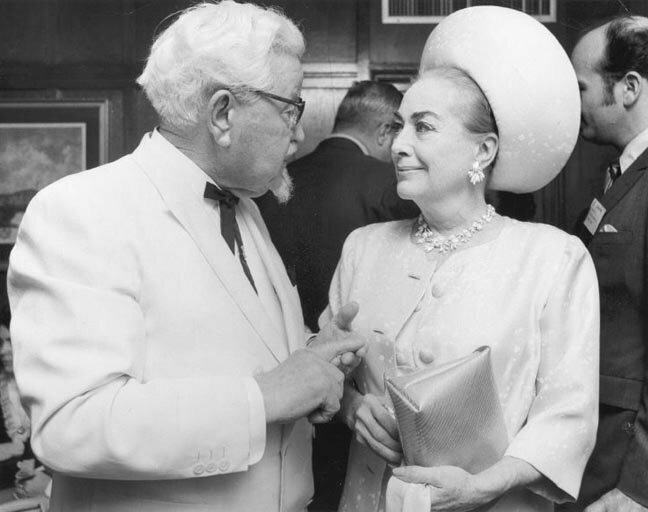 Here we have Joan with Colonel Sanders, probably trying to tie up a cross promotion with KFC and Joan’s beloved Pepsi. This entry was posted on Thursday, April 13th, 2006 at 7:34 pm	and is filed under Uncategorized. You can follow any responses to this entry through the RSS 2.0 feed. You can leave a response, or trackback from your own site.